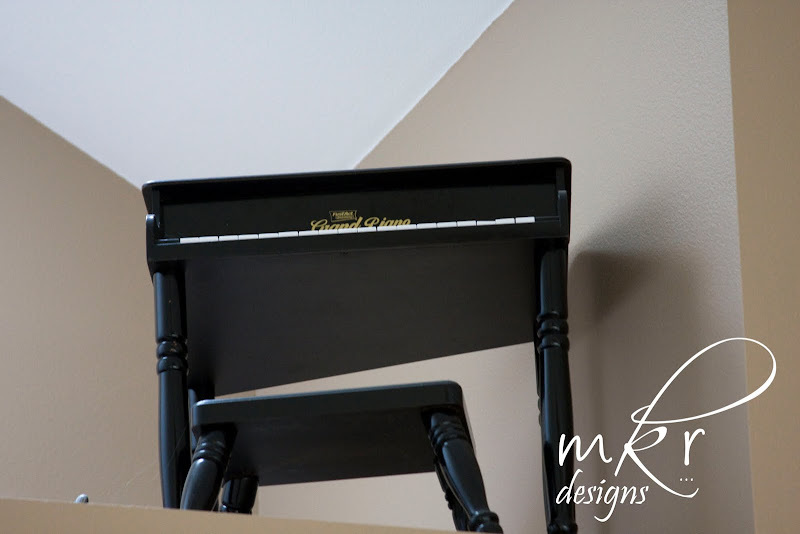 Maggie Muggins Designs: I got a Grand Piano! I know - some of you are wondering where I would fit a grand piano. I'm proud to say it took very little re-arranging. It's a "Baby" Grand - so it is much smaller than your regular Grand. And I got an amazing deal on it. ($5 on Craigslist! Wahoo! These cost $100 new.) Little Monkey loved it from the get go! *Update, we've since moved it up to our loft area as decor. We have two little pianos and this one was a climbing hazard.